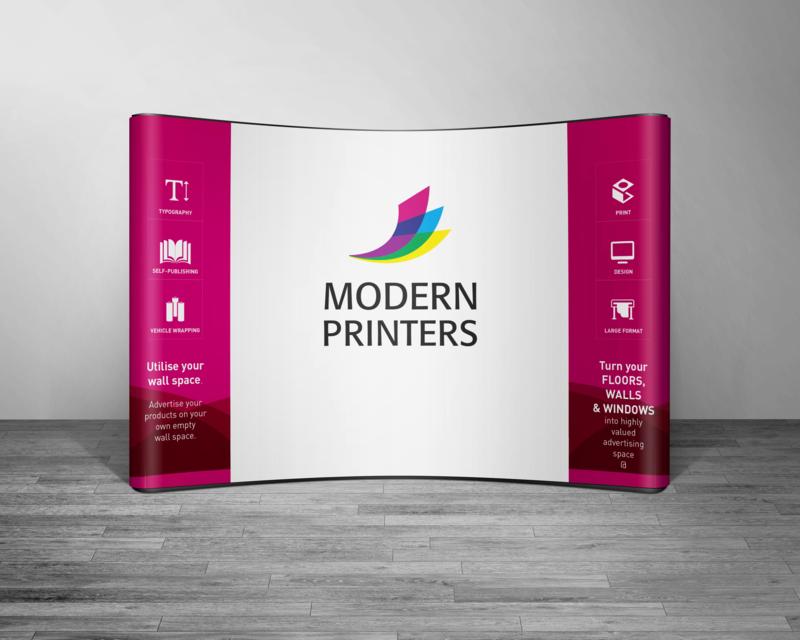 While Pull Up stands are an excellent eye-catching and cost-effective marking tool, if you want to stand out in a crowded exhibition the pop-up wall is the way to go. When competition is fierce a professionally designed pop-up wall not only draws the eye but makes the key first impression. Supplied either straight or in a curve, these stands are made from a durable, easy to assembly aluminium frame with overhead lights included. They are laminated to ensure scratch resistance. The oval case for storage can also be used as a counter. Each stand is made up in modular panels that are mounted through footers and kickers with magnetic guides to ensure line up and flat surfaces. These stands come in vary sizes mentioned below.